Welcome Dear Ones! Full moon and the emotional healing, activated! Open to receive. Emotional healing is happening now! Healing our deepest wounds is possible now. It takes time, compassion and a clear intention. The spiritual journey towards healing includes the acceptance of our emotions and inherited patterns. When emotions “grabs” us. We are taken out of our divine centre, let´s come back home! What area of our life needs our immediate attention? Where do you need to establish much more clearer limits and boundaries? Understanding emotions and what to do with them is the key of this full moon Cancer-Capricorne. Each Moon cycle brings us life lessons and opportunities for growth. By following the Moon cycle, over and over again, we have the opportunities to work with our emotions, to learn about ourselves, to get a deeper understanding of the origin of our emotions, our reactions, defense mechanisms and our inherited patterns of behavior. And being in touch, accepting those aspects of our being is the first step towards releasing hurtful experiences and difficult emotions. -Ask for a column of Light, now and everyday, to nurture yourself .To activate your Body of Light. Visualize it, feel it. -Be there, present, receive, info, Light and Divine Love to heal now. Awake. Elevate your vibration. Open your mind and your heart, decree your emotional and familiar healing. -Affirm your Intention of this. 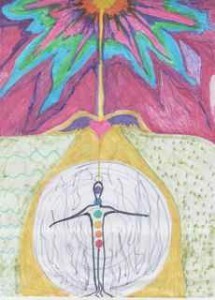 -Connect to Mother Earth now, developing strong routes to her centre. -Receive everything you feel, embrace your old and present emotions, receive this info your body is giving to you. Just feeling, accepting how and what you feel will transform you. Don´t stop using the breathing to release and open more space inside. -Activate, invoice, invoke your wounded inner child and your Divinity, feel the meeting…join the divine love , unite with Earth and Heaven.Breathe. Some of us are having physical reactions to this full moon, the emotional body is hurting, emotions are willing to release out of our bodies now. So if you are feeling physical reactions, consciously open up your energy body even further with the intention that this flows through you with a much greater ease. Sometimes in your everyday life when you are having physical symptoms it is because of this imbalance within you. Breathe in deeply. Feel yourself as you’ve become this lightbody energy or this crystalline energy. What’s required is trusting, opening, attracting, allowing, softening, intuiting, listening, quieting, feeling, loving, and learning to embrace freedom, pleasure and the joy of life. Previous post: Solstice, new moon and Cancer´s energy here! Next post: New moon in Leo and the Sun in Virgo now!